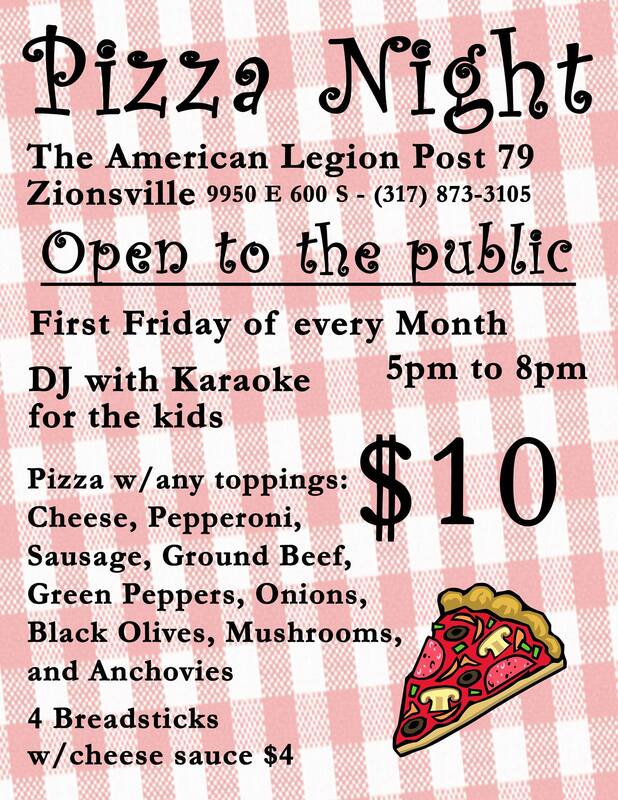 Join us on the First Friday of Every Month for Legion Pizza. Made to order in our kitchen with fresh ingredients. Breadsticks are also available. Dinner served from 5:00pm to 8:00pm. Pizza Night is always open to the public!